So far this week has been a pretty good one Arsenal wise. We've won the north London derby, signed up Aaron Ramsey, Santi Cazorla and Gedion Zelalem and have seen Alex Oxlade-Chamberlain overcome an injury scare ahead of this weekend's game with Chelsea. There has also been a feel good factor brought around by Arsene Wenger celebrating his 1,000th game in charge of the club this weekend. A lot of reminiscing about the good times. A lot of discussion about who would have been in his ultimate starting 11, who have been his worst signings and remembering back to the days when the club won trophies. No one needs reminding when we last won silverware. It's ingrained in our minds. And during the last nine years it cannot be said that as a football club we've not progressed. On the pitch we have still qualified for the Champions League in each of the last 18 seasons, despite being restricted in what we could do in the transfer market because of the stadium project. Arsene Wenger has led us through a tough spell. It's not been easy, but moving from Highbury will mean our long term future will hopefully be more fruitful on the pitch. It will generate more revenue for the manager to spend and if we are able to buy a player of the stature of Mesut Ozil each summer from now on, I won't be complaining. Of course we are right in the thick of a battle on two fronts at the moment. We're in a good position in the league, with some tough fixtures coming up. But momentum does seem to be with us. Winning on Sunday, despite not playing at our best, will do wonders for our confidence. And who can forget about a trip to Wembley next month for the FA Cup semi final. It does feel that we are the prime candidates to win it, but we cannot underestimate any of the other semi-finalists. Saturday's crunch match with Chelsea is a must not lose game for me. At this point in the season only points matter and now it is a sprint for the line. Mathieu Flamini has been speaking about the run in with the media ahead of Saturday's lunchtime kick off. "In the title race, it’s very important not to drop any more points because it’s not a marathon now it’s a sprint. We have a few more games and we want to win every single one. "The Premier League is one of the objectives but we still have the FA Cup and we really want to make something of this competition too. "It’s a great opportunity, everyone is waiting for Arsenal to win a title and everyone is talking around the club that Arsenal haven’t won a title for a while. It’s a great opportunity for us and it’s in our hands and I can assure everyone we will do everything to go through and win it this year. "Both competitions are very important for us. 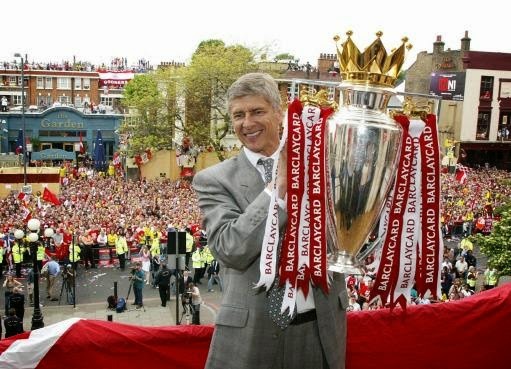 Winning titles is very important for every single player, the management team and the fans. We will fight and give everything to win a title this season." I have no doubt the mindset of this group of players is different to the squads in the recent past. It helps that we have a more mature squad who are still hungry to win silverware and have the know-how to win. We've got to hope for a bit of luck when it comes to injuries, something we've not had recently. But I believe that we do have a good chance on Saturday to get a result and continue our forward momentum to silverware this season.